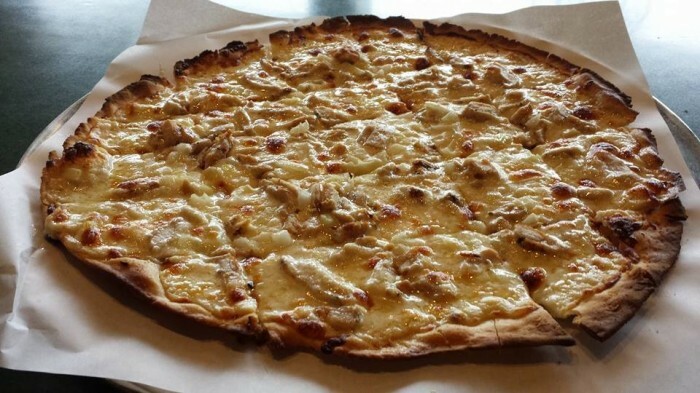 John is an old pizzeria with a prolific history that goes back to the 1930s. His Pizza is unique in the chosen components. It is not just cheese, sauce and crust. Every component has a special characteristic that will make people remember it. The cheese is greasy, the sauce is piquant, and the crust is crispy. What a memorable mix! If you like the crispy crust and would like to enjoy the whole pie in the crispy mode, then you have to visit the Antonio pizzeria. 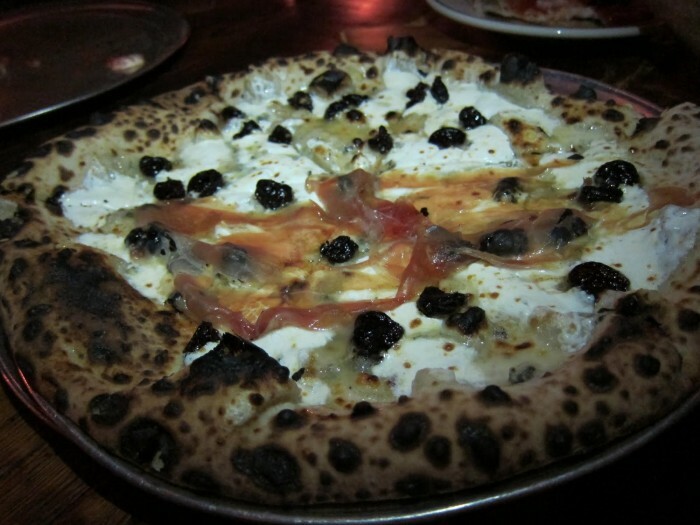 Antonio’s has a belief that the charcoaled pie needs specific toppings, something they are really good at. A mixture of buffalo mozzarella and tart tomatoes adds to the taste of the crust. 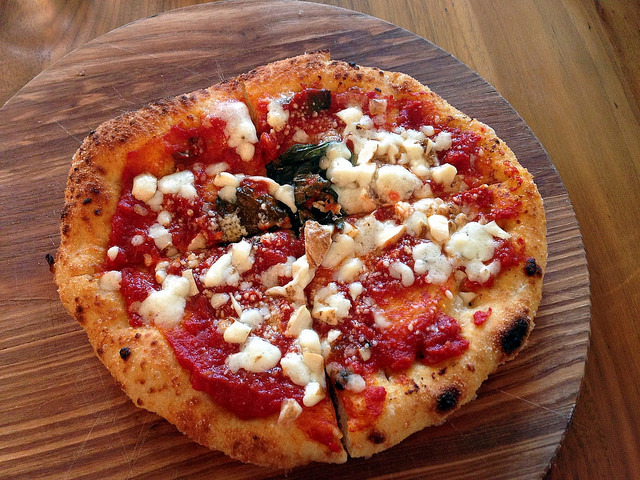 The Motorino pizza is another crispy charred pie. It is served puffed with various toppings like broccoli and brussels, things you will not find in many pizzas in New York City. 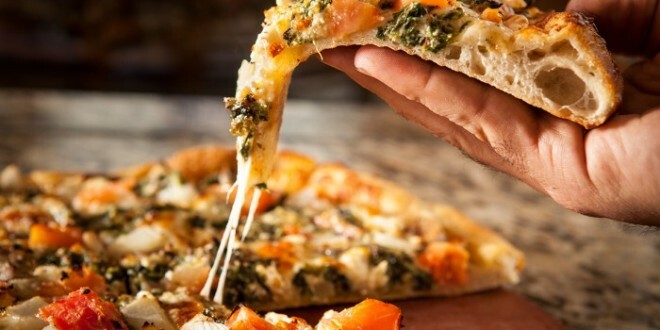 The sauce and cheese are also chosen according to the kind of topping so that they form a nice fit. 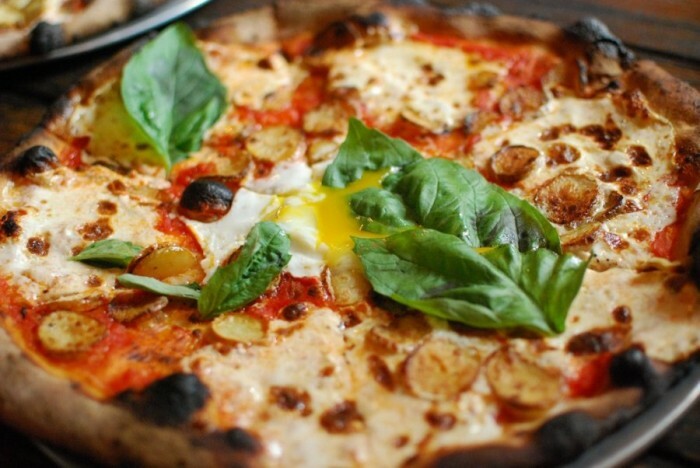 In Brooklyn, Paulie Gee offers a delicious Neapolitan pizza that is associated in people’s minds with the atmosphere it is served in. 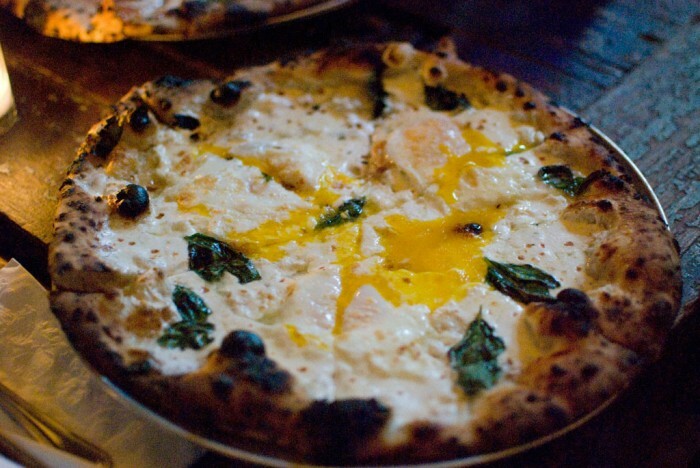 Though in New York City, the Paulie Gee Pizzeria makes you feel as if you are in the countryside. 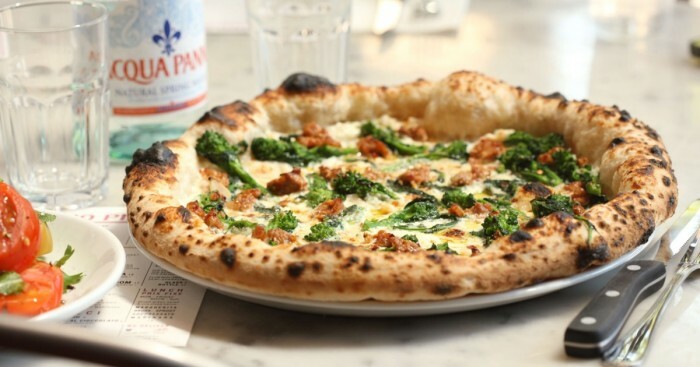 Serving a Neapolitan pizza is not a big deal, but putting a memorable touch is Speedy Romeo’s way of doing it. Provel, is their redefinition of a cheesy topped pizza. When you decide to replace the Mozzarella, you hardly have tasty alternatives. Speedy Romeo, thus, made their own Provel. They choose other toppings that go with their secret cheese, like the pepperoni sauce, chilies and onions. Creative as they are, Roberta pizzeria is always crowded. You would hardly go there and have your order in in the moment. Still, they are unique in being different from their competitors. Roberta are experts in mixing different tastes and coming up with a creative one. Therefore, you could find cabbage and honey together on the top. Do not panic, they taste good! 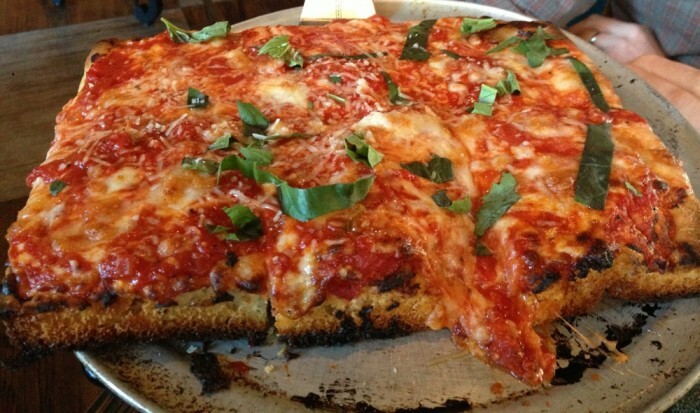 In Staten Island, lies the center for thin crunchy pizza in New York City. 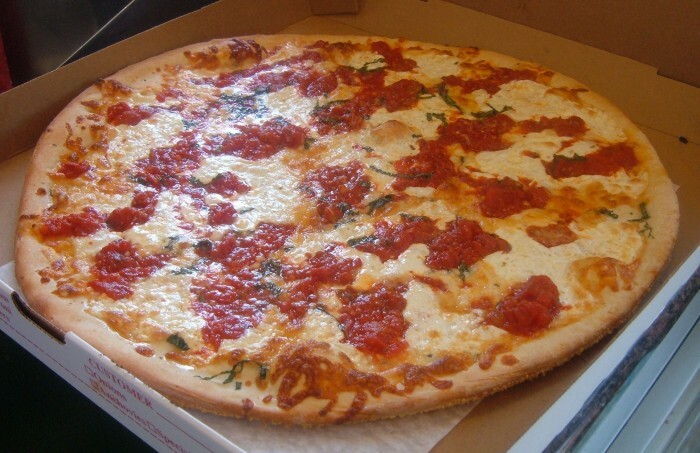 If you do not like the thick pizza and do not prefer the edges of your thin pie bubbled, just go for Joe & Pat. 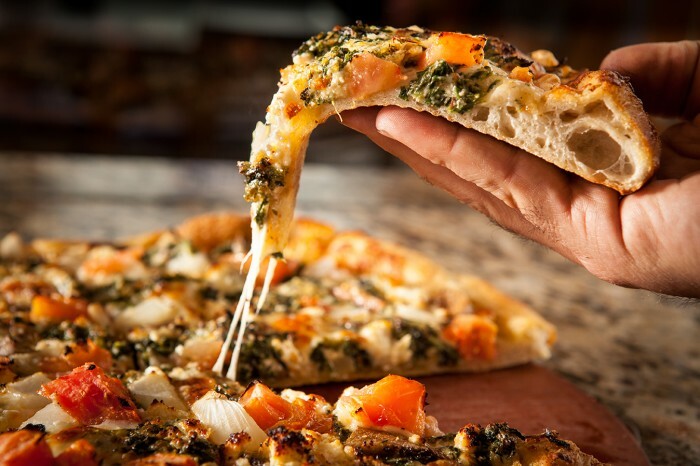 Because of its flatness, the cheese is able to stretch widely even above the edges. Now time for a thick pie of pizza! 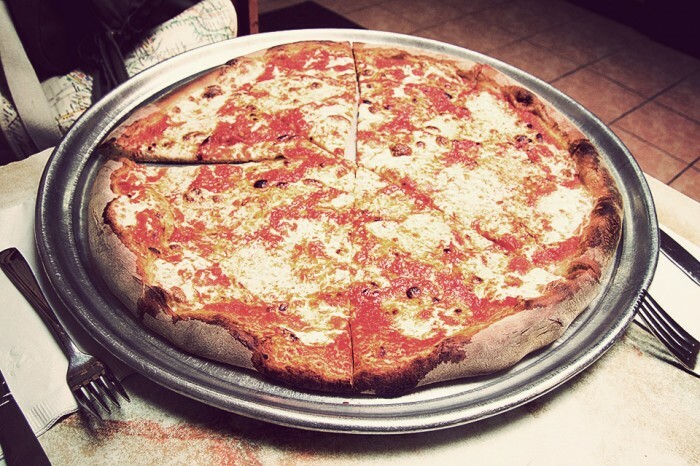 In Brooklyn, again you would find your favorite crunchy thick pie with white cheese and dollop. Sweet peppered onions are part of their unique components that sink in the creamy cheese at the top. 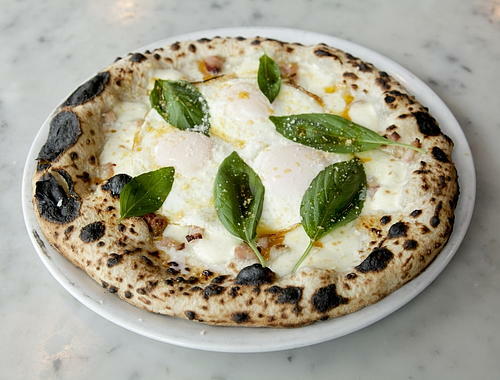 With a long history in making pizzas, Totonno in Brooklyn is a good maker of tasteful big pizzas. As it has always been, tart tomato and greasy mozzarella are the standard topping. Many pizza lovers have complimented the Di Fara Pizza many times, no wonder why you have to wait for hours to get your pie. The secret? It lies in the experienced old hands that makes you your pie!